Note: All downloads will have a 60 second timer for guests ONLY. This is to prevent resource abuse. Restriction is lifted upon signing in. When browsing, all sub-categories are found on the right sidebar. *NOTE: DOWNLOADS ARE HOSTED ON OUR SERVER AND OTHER PROVIDERS DEPENDING ON THE SIZE. *NOTE: ALL UPLOADS MUST HAVE A VALID VIRUS TOTAL FILE ATTACHED TO IT. IF WE FIND THAT IT DOES NOT HAVE A VALID VIRUS SCAN LINK, WE RESERVE THE RIGHT TO REMOVE THE FILE TO PREVENT HARM TO OTHERS DOWNLOADING IT. NOTE: FILLING OUT THE FILE SIZE FIELD MAY NOT BE REQUIRED, BUT WE RECOMMEND DOING SO TO PROVIDE MORE INFORMATION TO OUR USERS. Touhou Puppet Dance Performance (TPDP) starts off with the player character being transported to Gensokyo through unknown circumstances by Yukari. Seemingly there to help solve an incident that occured recently that involves mysterious puppets that seemingly came out of nowhere. These puppets represent all of the maidens of Gensokyo, and its up to the player to solve the incident whilst finding a way back home. Plays heavy similar to Pokemon. If you've ever played Pokemon, you'll quickly grasp this game. A few key differences though. A good site for extra helpful information on TPDP is of course, the TPDP wiki. Link here. Here you can view the puppet dex, type table, abilities, and even the locations for the puppets. Step 3: Extract the contents of "TPDP Shard of Dreams (English).rar" to "C:\game\FocasLens"
or refer to the video at the bottom of the page, courtesy of Drunken_Flower. This is the expansion to the popular fangame touhou puppet dance performance. It plays very similarly to the base game with the main differences being the story plays out in a slightly different order, and you have touhou 14.5 -15 puppets, which the previous game did not have. For those who don't know anything about touhou puppet dance performance, its basically touhou in pokemon form with a few key differences, those being that the equivalent to what ivs are in pokemon are visible in TPDP, and instead of being a numerical value between 1 and 31 its a letter grade between S and E-, S being the best a stat can be and E- being the worst a stat can be. The way moves are learned and evs are gained is also significantly different, when you hit the requirements for learning a new move you can learn it through the edit screen of your puppet where you can learn a skill from the entire list of whats available to the puppet at that level, though they cost pp to learn which is gained through winning battles. You can also use pp to reinforce stats, which is basically evs except you objectively control them. Evolutions are handled in the form of style changes that every puppet has available from level 30 onward, every puppet gets the option to evolve into their extra form, or any 2 from power,speed,assist, or defense, depending on the puppet. For example, Chen past level 30 can choose to evolve into either Extra Chen,Speed Chen, or Assist Chen. You can only style change once though, the only way to reverse it is through reincarnation which is only available postgame. How It Works: Lust like the first game, you go around exploring, battling random encounters, facing off against bosses, and collecting items. New are FOEs that can be agreed in a certain area on their respective floors, as well as many new player characters. You can level down characters now, and you will receive items that grant permanent stat boosts if you defeat bosses at or below a certain average level. Plot Point: Yukari has distributed a letter throughout all of Gensokyo, setting rules for a team-based wargame for those who are bored of nothing but typical spell card rules, promising to grant any one wish for the team who wins. Those who are weak individually but strong in a group decide this provides an excellent opportunity; others simply want to prove their points; still others want the promised wish. But, for only the second time in Touhou history (the first being "Labyrinth of Touhou"), the entire Touhou cast is involved...because now, Gensokyo is at WAR. 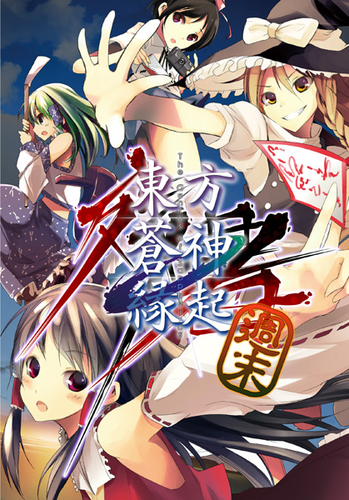 How It Works: This is a point-and-click strategy game (left-click to confirm, right-click to cancel); in the main Story Mode, generally speaking, you play the role of the Hakurei Shrine faction, and declare war, battle against, and capture the other factions' territories until you win by having the entire map under your control. For all the details you could possibly need, go grab the Instruction Pack from the Extras section on the left. This game may look something like "Risk" at first glance, but trust me: 1) it plays nothing like it, and 2) it takes a lot longer (Story Mode does, anyway). * National Mode. A setup that emulates a multiplayer experience; all regions start off occupied, and factions are no longer concerned only with you; they'll attack each other now as well. National Mode comes with the bonus characters on the left (and thus some bonus factions, as well), and lots of ways to tweak things; you can set how many and which factions will be present and change their starting memberlists, and you also get to play as any faction you'd like. National Mode can use characters you've created yourself in the game's Extras section. To get to it, click "Start" on the main menu, and it will now ask you which mode you'd like to play (Story Mode or National Mode). * Difficulty Select for Story Mode. Was the default setting of Normal too easy for you? Now when you start a new Story Mode game, it will ask if you'd still like to play Normal, or if you'd prefer Hard or Lunatic. *My New Manual is included, but is seperatedly downloadable here too in case you're considering getting it but want all the details before downloading. It's far more helpful than the old English-translated manual and offering it seperately here sees to it that I can keep the detaied stuff off this page. Plot Point: A strange dimensional pocket has appeared above the Scarlet Devil Mansion. Its appearance is very menacing, and it feels like it's bad news. Our girls go inside to investigate why it's there and who's behind it. How It Works: It's a classic dungeon-crawling game in the style of "Dragon Warrior." You prepare in Gensokyo, then head down into the dungeon to explore, battle, and find treasure until you're unable to continue further and decide to warp back to town. Relay Points allow you to start from further in. Extra Notes: There are two font files included in the download, which you need to install to your Windows -> Fonts folder; also, this game will run without AppLocale, but if you want the fun Kakupoptai font seen in the screenshots to display properly, you must bother to run it through AppLocale. The following 5 characters can only be used after you unlock them in the Expansion-only content. "???" is a Genius of Sappheiros original character. Unlocking Fujiwara no Mokou early: After visiting Akyuu for the first time, talk to her again. The Bamboo Forest maze will appear to the west; head there, and travel through the forest in accordance with the Konami Code (Up, Up, Down, Down, Left, Right, Left, Right) to find Mokou. 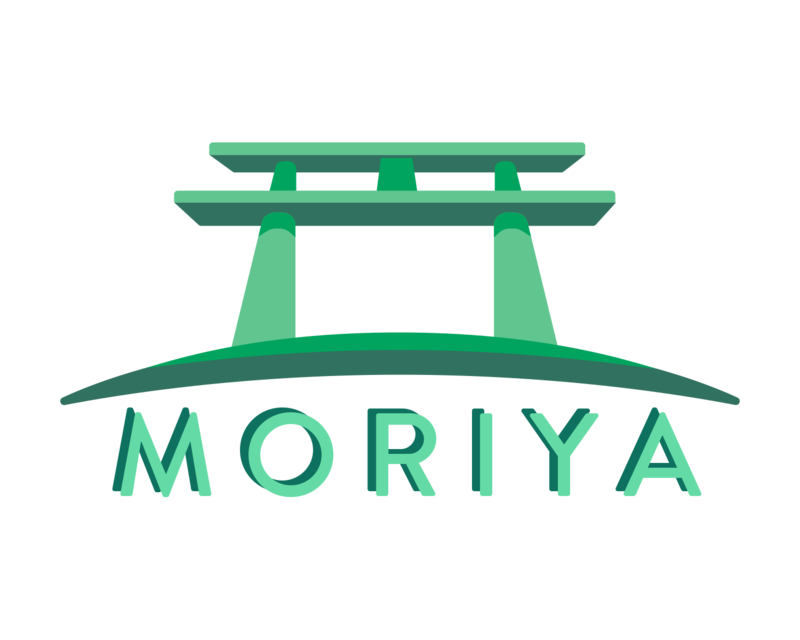 Unlocking Byakuren Hijiri early: Head to Myouren-Ji, the building in the southeast where Minamitsu Murasa is standing. Wait in this building for a full hour of real time and a cutscene will trigger in which Byakuren will join. Reimu, Marisa, Nitori, Alice, Keine, Cirno, Daiyousei, Rumia, Youmu, Akyu, and Sakuya. Sakuya, Koakuma, Patchouli, Remilia, Meiling, Alice, Flandre, and Komachi. Plot Point: This game retells Embodiment of Scarlet Devil with the trademark red mist acting in the beginning as the catalyst for plot development; however, there are surprisingly many plot twists, character developments and cameo guest appearances from other games as well as portraying a prologue to Mountain of Faith's story. Altogether, the storyline is beautiful and much more rich in drama compared to the original Embodiment of Scarlet Devil. How It Works: This is a fantastic little SRPG done in the style of the "Super Robot Taisen" series. It works like you would expect a traditional SRPG to, except with expected Touhou elements; for example, if an enemy puts up a danmaku field, your girls will take penalties if they wander in without Focusing first, which negates said penalties. (Your girls can move much further per turn when Unfocused, of course.) For each exchange you get into, you can also freely enable or disable the nicely-animated scenes (which take a while to load, but are well-done; I usually enable them for exchanges with bosses). Super Robot Taisen's "Wife" System also makes an appearance in this game, enabling your girls to learn special abilities beyond normal skills. Also available are things like upgrading your girls' stats and skills, and four difficulties to choose from (you can also pick Reimu or Marisa as the protagonist). If you clear the game, it is planned to allow your game-clear save to be able to carry over to the game's future sequel. Fantasy Maiden Wars Dream AKA Gensou Shoujo Taisen Yume is the fourth as well as the final game of the series. The fourth part retells the story of Undefined Fantastic Object, Mystic Square, and an original arc loosely based on Yumetagae Kagaku Seiki - Changeability of Strange Dream, a doujin album by Team Shanghai Alice which was released on 2004. The main gameplay remains the same, the game follows a basic structure of Super Robot Wars; the character receives introductory dialogue and leading to the scenario on the battlefield. Battles take place on a grid-based battlefield, with additional mechanics for danmaku, bombs and spell cards, with turns being given for players and enemies. Player can transfer save data from the third game, Gensou Shoujo Taisen Ei (Eternal), allowing player to retain items, upgrades, and database information as well as gain some bonuses. Note: The unnamed link is the MEGA link for the patch, it's not a direct download so you can still see what it is before downloading it. Concept: A large cave sporting many different environments has popped up, and the girls are very eager to explore it! As time goes on, fake girls show up, and the cave is proving to have corrupting qualities. Think of Touhou Hack and Slash in terms of general gameplay. The game should hopefully be patched in English and with the Oni patch. Plot Point: Patchouli gets tired of Marisa stealing her books, so she creates an army of sentient puppets based on the residents of Gensokyo to guard her library. Marisa steals the information needed to create her own army of the puppets, and in a fit, Patchouli destroys both armies and the knowledge of how to create them. The puppets recreate and fill Gensokyo, becoming akin to pets. How It Works: Since these are a set of Pokemon clones, the gameplay should feel familiar. The player starts off with a puppet and gathers more along the way, fighting their way through a series of dungeons and gyms before reaching the Elite Four and becoming the Champion. The same types have been kept, since these are the 1.5x versions of Touhoumon. World Link corresponds to Emerald, Another World and Puppet Play to Fire Red, and Marisa's Magic World to Ruby. Fantasy Maiden Wars Mystic AKA Gensou Shoujo Taisen Youyoumu is the second game in the series after Gensou Shoujo Taisen Kou, the overarching story follows the plots of Touhou Youyoumu but expanded with Touhou Fuujinroku and Touhou Suimusou. All the games follow a basic structure of Super Robot Wars; the character receives introductory dialogue and leading to the scenario on the battlefield. Battles take place on a grid-based battlefield, with additional mechanics for danmaku, bombs and spell cards, with turns being given for players and enemies. Player can transfer save data from the previous game allowing player to retain items, upgrades, and database information as well as gain some bonuses. Letty, Minoriko, Star, Parsee (entire party). Once you get past the game's prologue gameplay (the appearance of the Towers), for a rather long time, the only save point you'll have is at your shrine - this is because once you've explored the new layout a bit and your girls start getting some idea where things are now, you can use the map to fly to places you've been to (including back and forth to and from the temple so you can save/replenish MP). To do this, open the map (press Start), move the cursor to the general area, and press (A); it will ask you which sub-area you'd like to fly to. If you've been to more than one tier of Reformed Gensokyo, you can hit (L)/(R) to switch tier maps so you can fly from one to another. The only place you cannot fly is inside the Towers themselves. You won't complain of a lack of shikigami. Not only are there tons of character shikigami, but once you acquire shikigami Satori by clearing any of the game's three Towers, she will randomly give you opportunities to recruit monsters you fight as long as she's equipped. You MUST run the game in AppLocale if you want the game to run. Plot Point: Humans and youkai are disappearing from Gensokyo mysteriously! Several of the girls have noticed the goings-on, and embark to find the source and end this incident. How It Works: When the game begins, you will choose one of four protagonists - Reimu, Yukari, Byakuren, or Meiling - and play from their perspective. Throughout the lengthy game, you will recruit new members and shikigami (more on that below), locate equipment, fight regular monsters and bosses. Other Notes: Like Labyrinth of Touhou, there are no consumable items (though your HP is replenished at the end of each battle since you can't use magic outside of battle), but unlike Labyrinth of Touhou, there's a good amount of healing magic, and you can resurrect dead characters if you have the right spells for it. Shikigami System: This game works on a shikigami system; you can have up to 5 main party members, who are responsible for your physical attacks (and take all the damage), and each of them can equip up to 3 shikigami characters who cast magic for them. More details on how to battle and stuff like that are found in my instructions pack, in the left column. This is a video of one of the Tower bosses on Reimu's route (you'll know what the Towers are when they appear in-game, trust me). This player uses one of the Tank formations, using Mokou as the tank. How it Works: You start out the game with Yukari on the left most part of the field. You have the ability to summon any one of the five starting characters to defend Yukari and help in advancing through the dungeon all the way to a gap leading to the next dungeon after defeating the dungeon's leader. The Title Screen: The left button in the main menu starts the game from the last save made (It automatically saves your progress when you quit the game). The right button deletes your current save file(do take note that you are only given one save here, and that any progress you've made like unlocked items or recruited characters are lost aside from the progress made when you do so). Character Deployment: All characters are manually deployed. There's a limit on the number of characters you can deploy at once, based on the current level of the dungeon which increases as you advance through the stage. Not-so-gentle Winds: Every turn a large gust of wind will blow through the field, damaging any units you currently have deployed. Enemies do not take damage from these winds, and the damage itself is based on the stage level. This wind is not present in most dream stages. Making friends along the way: There will be gaps that pop up after progressing enough through a dungeon. Clicking it will open up a dungeon selection menu, send your deployed units in to clear the dungeons. Clearing the sub-dungeons between every main dungeon unlocks playable characters as well as giving you a hoard of useful items. Leveling up: Do your best to keep your force at full strength. Move at a timely pace and manually level up your characters as they do not level up on their own. Enemies grow stronger and even stronger variants appear as you progress. Keep your units above their level to ensure that your units can take them head on, but don't over-invest on characters as their cost may go too high, leaving no room for assisting units. Items: This is a very fundamental point for the game. As you fight enemies, you'll begin to see your units acquire items from their kills. When a unit is not deployed or is recovering, you can edit their inventory and drag in items to increase their strength. Common items drop from enemies all the time, and can even be compressed to take up less space and make room for more items. Special items: There are common, uncommon, and unique items in the game. The unique items are the best versions of the stat specific items that give the highest bonus that can possibly be given by a single item at once. Only one of each unique item can drop, and are only obtainable from dream battles. Selling and compressing items: on the right side of the items menu are two things: the item press and the selling compartment. Items that are compressible can be dragged unto the press to make them smaller for a price. You can also sell unneeded items for a rather small sum of money, and if you sell enough items, you're given a consumable item that can be used to expand a unit's inventory by 1 small square. Plot Point: This game puts its own spin on the events of Imperishable Night. How It Works: This is a fantastic little SRPG done in the style of the "Super Robot Taisen" series. It works like you would expect a traditional SRPG to, except with expected Touhou elements; for example, if an enemy puts up a danmaku field, your girls will take penalties if they wander in without Focusing first, which negates said penalties. (Your girls can move much further per turn when Unfocused, of course.) For each exchange you get into, you can also freely enable or disable the nicely-animated scenes (which take a while to load, but are well-done; I usually enable them for exchanges with bosses). You can also upgrade your girls stats using points you earn in each chapter, points are awarded for kills and spellcard breaks, and taken away for unit casualties. There are also wife points, which you generally get 10 of per chapter but you can get 15 if you fulfill special criteria, these wife points can be used to even FURTHER upgrade your girls stats beyond their normal limits. You can pick between Reimu or Marisa as the protag and between the difficulties easy normal hard and lunatic. * Fire: Damages all enemies in an amount equal to half their max HP (also damages offscreen enemies). * Water: Respawn rate of dead units is increased tenfold. * Wind: Increases all animation speeds for your units (movement and attack speeds). * Metal: The bookshelf becomes temporarily invulnerable: enemies cannot steal books. *100k Mode. Start with 100,000 coins. *Swarm Mode. Waves contain even more enemies. *Thief Mode. None of the enemies bother attacking: like Marisas, they will now all rush for the bookshelf. *Dual Mode. Waves will now consist of a mix of 2 different characters. *Surround Mode.Each wave will now come from absolutely everywhere instead of having one particular offscreen area where they spawn from. *Boss Rush Mode. "Regular" waves will now consist of 3 normal-level boss characters, and "boss" waves will now consist of one giant boss. *Tower Defense Mode. Your units spawn on top of platforms with no way down; enemies will rush for the bookshelves. * Please note that this game ONLY runs in an unchangeable 1024x768 resolution; if your monitor's resolution is smaller, there is absolutely no way to change the game's resolution to fit; even attempting to fullscreen it or force 640x480 through compatibility options does not work. Plot Point: Patchouli is sick and tired of Marisa stealing books from the library (tell me something I don't know), so she decides to strengthen its defenses by creating magical dolls to guard the books. Unfortunately, Marisa stole the book Patchy wrote on how to make the dolls, so everyone else knows how to make them too. Patchy's only hope is to create as many dolls as she can to defend her last stronghold that is the library. How It Works: You start with some gold to purchase your initial supply of units, which spawn at start point(s); each unit is unique, is one of three types (melee, danmaku, or flying), and has special abilities. You have as much time as you like to determine starting units and positions before starting. To begin, hit the large [Start] button in the lower-right to start the clock and the battling. As each wave of enemy units attacks, you can either let your units' proximity reactions go, or you can tell individuals or highlight groups of units and command them to go on the offensive. Defeating enemy units awards you more gold to make more units so you can handle larger and more powerful enemy groups, whereas if you neglect your duties, the enemies will make it to the bookshelves you're defending - if they steal all the books, it's game over. When the clock in the upper-right hits midnight, you get a wave of boss-type Marisas as the final wave. If you manage to fend that off without losing all your books, you win! Character Info: At first, you only start with Patchy's own EoSD team, but beating the game as each new team unlocks the next on the list; if you beat the game as all six normal teams, you unlock the 2 special characters and the ability to create a custom team with any characters you want using Free Select Mode. * Total time. Easier settings are shorter and less involved; higher difficulties last much longer (the clock moves much slower), forcing more strategy on your part as to who to upgrade or purchase more units for. * Time and warnings between waves. Easier settings provide more time between waves, and provide more info as to what they consist of (Easy tells you everything, including exact character, type, and where they're coming from; upping your difficulty tells you less and less until you get to Lunatic, which tells you absolutely nothing). * Wave strength. Easy is very forgiving; upping your difficulty means stronger waves appear sooner and more frequently. Concept: Reimu is lazing on the job (again) and without her knowing the Hakurei Border has been deactivated, letting in humans to ruin the dear and beloved land of Gensokyo, your job is to find out who did this and stop them before Gensokyo is completely transformed! Run the RPG2000RTP file in the RPG<Japanese Characters> folder, and change your system locale to Japanese somehow (such as through AppLocale). Esc: Opens pause menu, or exits game if on title screen. Gameplay: This is basically age of empires with touhou influence, there are multiple touhou themed factions that each have different playstyles. Mildly Important Things: In order to prevent a crash you have to change something in control panel. Go into control panel, find "Clock,Language,and Region" Click on it. Find "Change date,time, or number formats" Click it. Change the top most dropdown box to Japanese(Japan) and apply. In Gensokyo there is a mysterious treasure and our heroines are trying to obtain it. There are 50 characters to choose from, online co-op mode, more accesories and weapons, fusing and blending items. What it is: It's simply a "Defense of the Ancients" clone with some extra content which differentiate it from the original game. How it works: It is based on DotA, thus it is played in a similar manner. The goal of both sides is to make it to the opposing team's shrine and utterly destroy it however way possible. Heroes/Girls: You are given a choice among 62 unique girls from the original game to represent the shrine you are assigned to. You directly control/command her, allowing you to utilize her abilities however way you wish. Items: Weird. Just weird. These are used to help boost your survivability in battle in a number of ways. Each Item is unique and it's important to note how some items are more compatible with your girl than others. Touhou Hack and Slash is a top down action role playing with dungeon crawling gameplay . The player can choose one of two initial characters; Reimu and Marisa, journey through 15 floors in total and battling monsters in real time combat by clicking on them. The game features randomly generated dungeons which requires player to repeat their progress if they lose, leave the dungeon and use certain items. The game has typical RPG elements where player can acquire experience points, abilities, and items that can be sold on the surface. Two hidden characters; Sakuya and Alice, can be unlocked upon the game completion in single player mode. Up to 8 people may play together via the netplay function, but a VPN is required. Mouse: Controls most of the game allowing you to select and place and navigate menus. Shift: Hold to only select towers. Fushigi no Dai Bouken Chiruno Kenzan! 2, literally translated as Cirno's Great Mystery Adventure! 2, is a roguelike game created by クロスロッジ and also the second game in the series. The main character of the game is Cirno who continues the adventure after successfully freeing her friends. The main similarity is the heavy use of randomized dungeons and effects. While Cirno explores a randomly generated dungeon using real time moves, she collects items, fights monsters and if she leaves the dungeon, she can sell off the items she found. Cirno can earn money by completing various tasks and can also equip certain items found in the dungeon. Plot: Gather books that other youkai have because Eiki is curious about the notes left in said books. How It Works: You start the game as Akyuu and have your choice of some characters to bring with you. (More-or-less for protection because Akyuu is too weak) After that you travel to various places (On the place select, the bottom one is the shop mind you) and beat up the youkai who live there. Every 5 stages you are allowed to leave after you beat up that youkai. After 3, sometimes 4 or 5, boss fights in an area you receive either a Japanese version of "Your princess is in another castle" or you get a book. Mainly it is the former that happens. After gathering the books you win, blah blah blah usual ending here. If you played Tendou Blade then it is the exact same with prettier graphics. Fushigi no Dai Bouken Chiruno Kenzan! 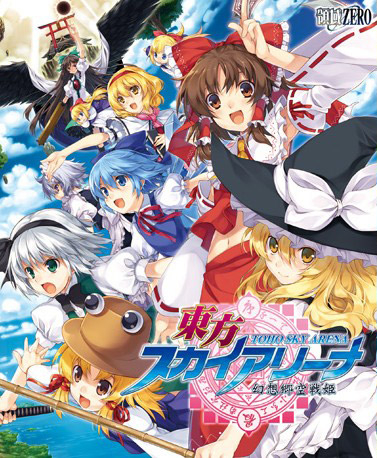 Fushigi no Dai Bouken Chiruno Kenzan!, literally translated as Cirno's Great Mystery Adventure!, is a roguelike game created by クロスロッジ and the first game in the series. The main character of the game is Cirno who must investigate an incident that made her friends disappear. The gameplay is similar to Fushigi no Gensokyo series, the main similarity is the heavy use of randomized dungeons and effects, while Cirno explores a randomly generated dungeon using real time moves, she collects items, fights monsters and if she leaves the dungeon, she can sell off the items she found. Cirno may also earn money by completing various tasks and mini games. What it is: A simple Warcraft III Co-op Hero Defense map designed for avid touhou fans. How it Works: Wave after wave of enemies will come and attempt to destroy the gate to Remilia's mansion. Your job, along with your friends, is to prevent them from succeeding by holding the line for two and a half hours. Heroes/Girls: Very limited selection in this one. Understandable since there can only be up to five players in any one game (Not including the observers). Each girl has a specific and stereotypical purpose in any team combination. Skills: There is a telepad close north of the fountain, use that to access the skill library. Skills are bouught and leveled with power. Power is obtained by leveling up or buying from the fountain. Monster Waves: Becomes progressively harder as each one arrives. Do your best to prepare for each wave using items and your small arsenal of abilities. A Really Big Tip: It's practically impossible to win this game alone even with singleplayer cheats. You'd need at least one partner to tag along. Cool but not enough grinders.